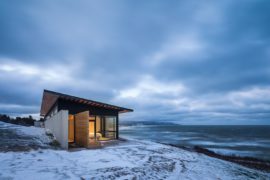 Think of a home that is set in a distant landscape, away from the hustle and bustle of big city life, bright lights and surrounded by greenery along with lovely ocean views and inevitably it is a holiday house that allows you to reconnect with nature. 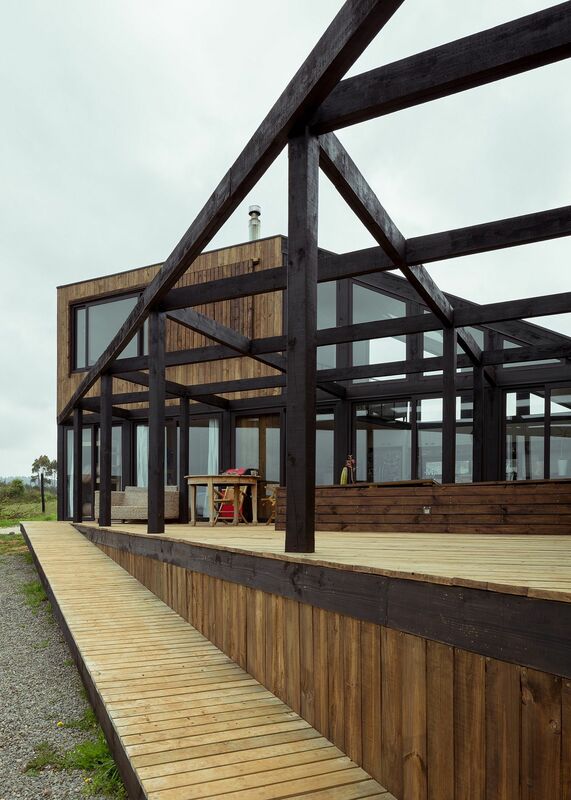 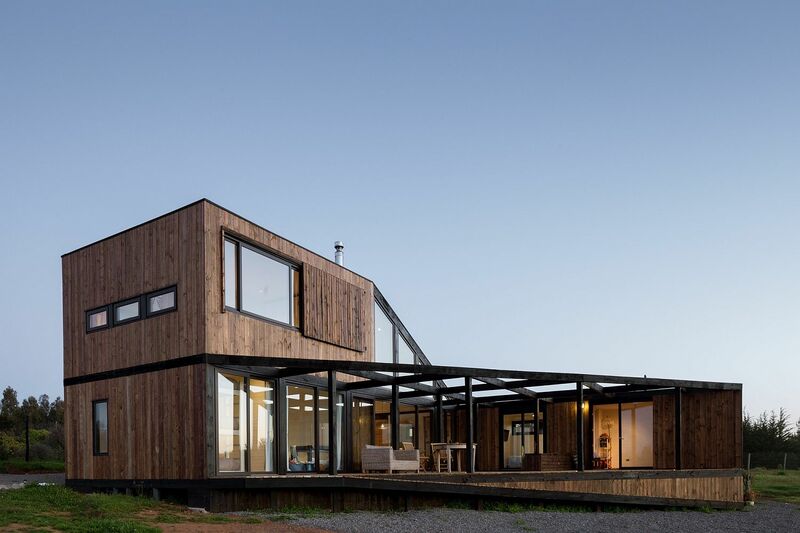 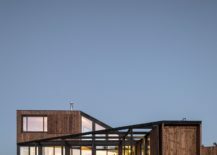 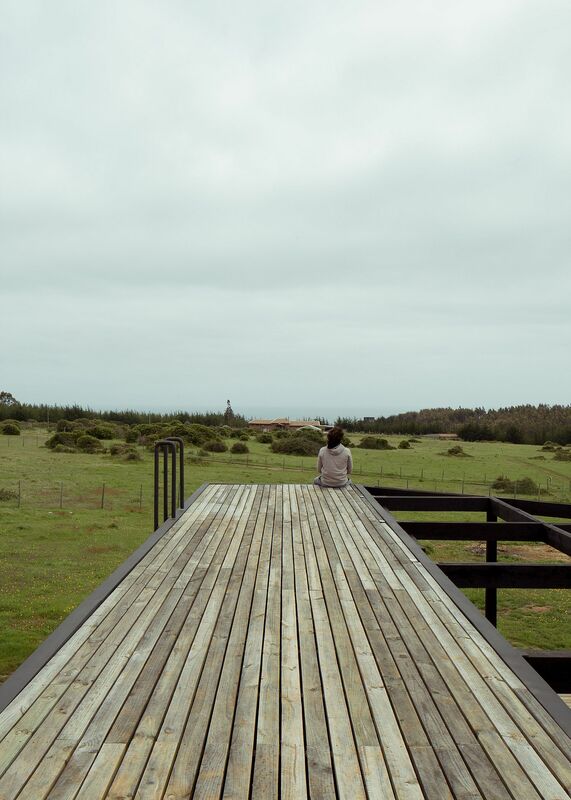 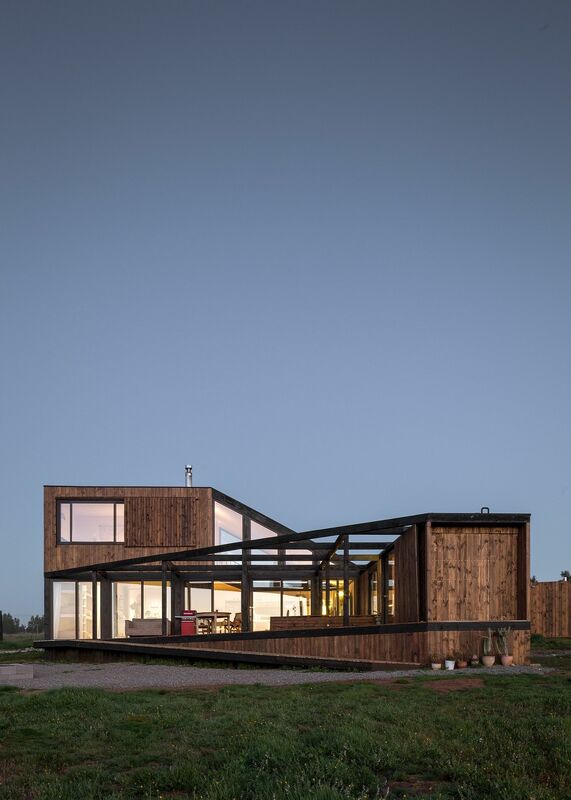 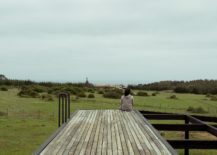 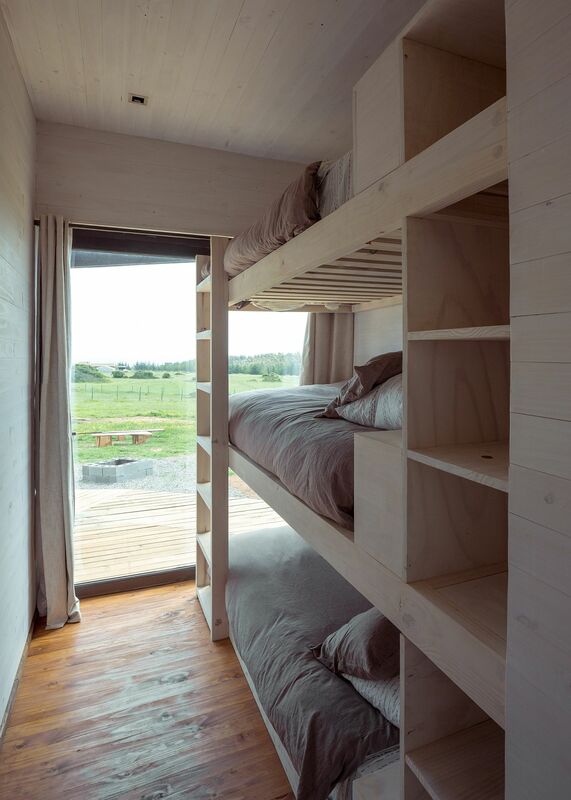 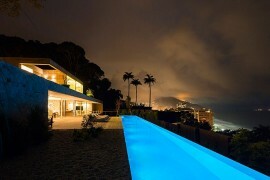 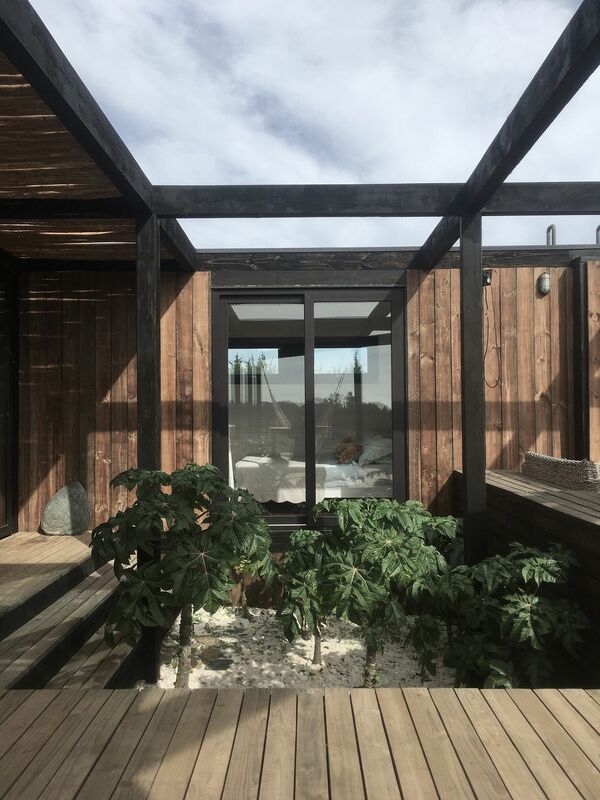 But nestled amidst the scenic and isolated landscape of Cáhuil, Chile and overlooking the distant ocean, BL 1 by UMWELT is a home that has been built for a family who decided to leave behind the city lights on a more permanent basis for a more tranquil life. 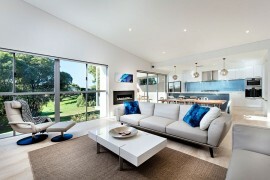 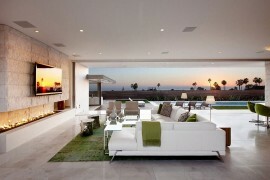 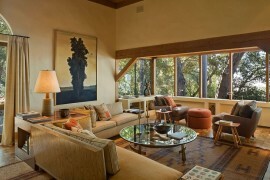 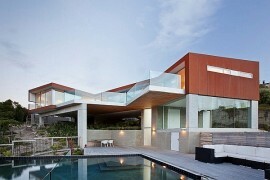 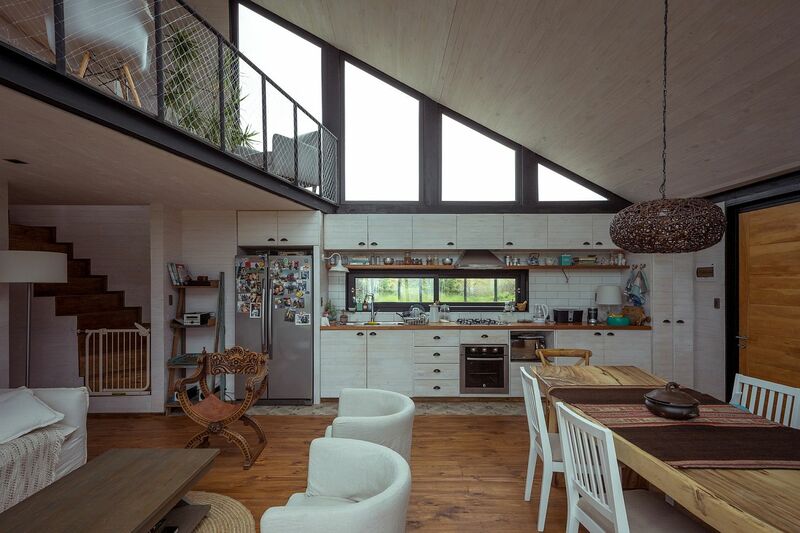 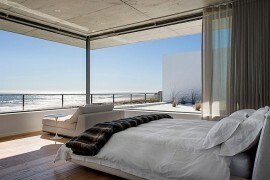 This is a home that combines natural beauty with unique design and an interior that feels relaxing. 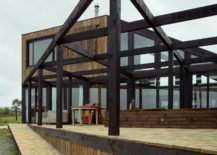 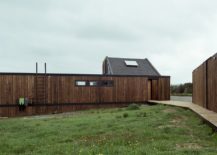 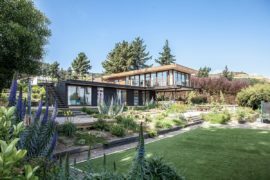 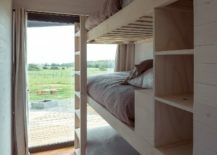 The house has been built to withstand the tough and windy conditions of and its orientation helps create a sheltered outdoor deck that allows the homeowners to enjoy the wooden deck and courtyard outside. 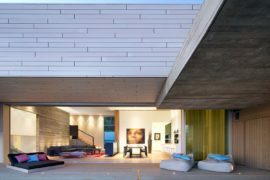 Steel beams and wooden finishes add textural beauty to the exterior of the home while the interior has a much more modern and relaxing vibe. 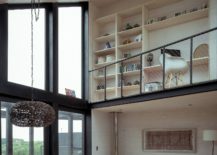 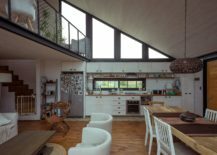 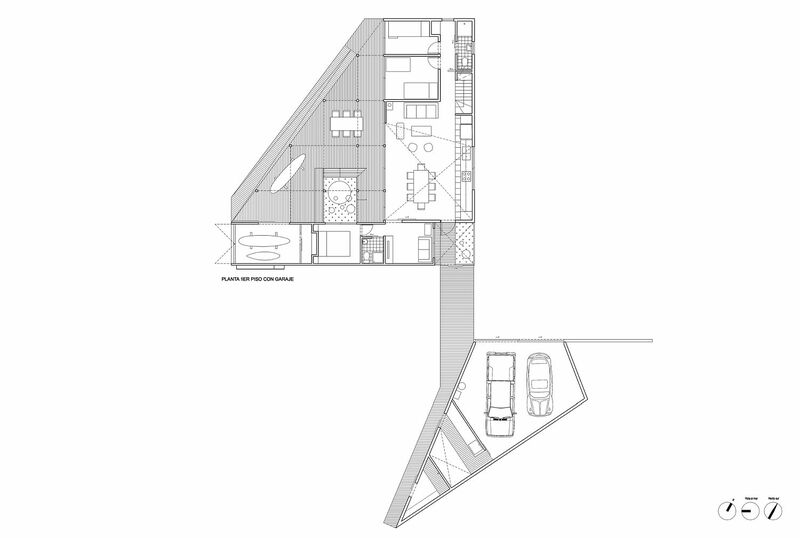 Skylights bring even more light into the double-height living area with a mezzanine level overlooking the lower level. 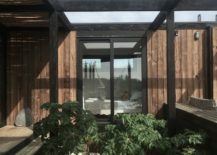 Large windows and sliding glass doors connect the living area with the deck outside, shaping a wonderful indoor-outdoor interplay.